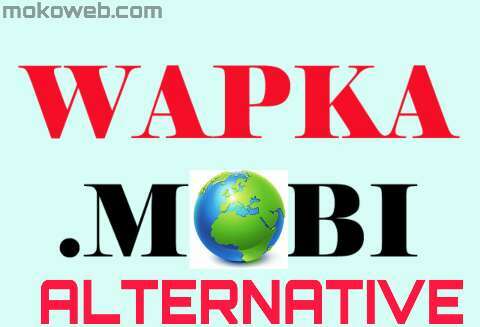 Now that wapka.mobi has been shut down, you need wapka alternatives in other to continue building free websites, wapsites and so on. So if you are in this situation, this post is definitely for you. Before it was shut down, Wapka was a platform that helps users create websites for free without any programming skill on HTML, PHP, Java, xhtml ,sql etc. It was a simple pick and drop web builder and most of us started from the platform before advancing to professional website builders. Unfortunately, in August 2018, Wapka announced it will be shutting down its services as stated below. In fact, if you try to open wapka.mobi website now, that’s the exact message you will see. Now that Wapka no longer exist, what are the alternative platforms or sites to create free website easily? I have listed 10 free mobile wap builders you can use to build free websites and wapsites. Note that this listing is not down according to priority. Wapkuz is a free mobile web builder platform that help you build mobile websites and host them for free. Wapact is a free website creator that will also help you Kickstart your website developing carrier. Recently, it introduced its ads serving network to earn money. You may need a wapact code to login to your account. The service is available in countries like India, Bangladeshi, India, Pakistan, Ghana, Malaysia, England, saudi-arabia, S-A etc. Ewap.mobi is yet another free wap building used to create free websites with some basic features you will found in some mobile sites. This is a very popular free mobile website builder that helps you create beautiful sites and even blogs as simple as ABCD. I actually started my website design career on Xtgem platform and developed my first business website on it. It has some beautiful visual site building tools to help you create and host websites for free. Wodemo is another wap builder that allows you create your own site in this format https://yourname. wodemo.com; Write articles and blogs with Text / Markdown / HTML; Upload and view photos etc all for free. Waplux is a very simple wapsite builder you will like to have. It’s a free mobile wap builder in Pakistani languages. If you like forums, you can create your own forums with amazing features for free using createforum.com website. Some of the features you can embed on your forum using this site includes; built-in portal and arcade, built-in photo gallery, e-commerce system, classifieds system, branding free option etc. The last but not the least is wapego.com. It’s another free wap builder but recently the website is misbehaving, loading slowly and sluggish. The above wapka alternatives should serve you very well and help you build a basic mobile website or wap page for free while you learn the advanced stages of website building with good knowledge of programming languages. Other platforms you can use to build websites, forums and blogs are WordPress.com, WordPress.org and blogspot.com although you will spend a little money on custom domain purchasing to make your site appear professional. See this also hostriver professional website building services for sme. I hope this article on free wapka alternatives is exactly what you searched for and you found solutions in it. Next articleWhy is Database Management Important in Business?